today was day one of my week long open house. it’s off to a slow start, but i’m hoping for a good finish! 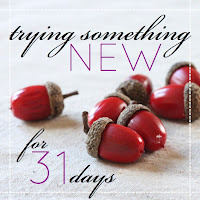 so, today’s post is a stretch on my trying something new for 31 days series, but i hope you won’t mind after you take a gander at these lovely cupcakes. vanilla cupcakes with a purply, vanilla icing. the colors are just perfect! fun and festive! 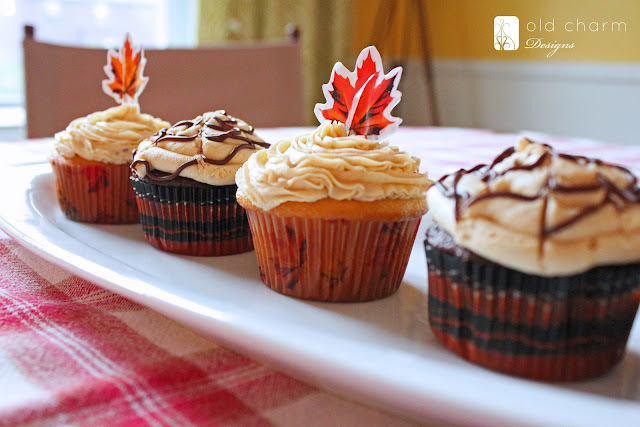 and these are my favorite … the ones with the spider webs, chocolate cake with peanut butter icing! yum! 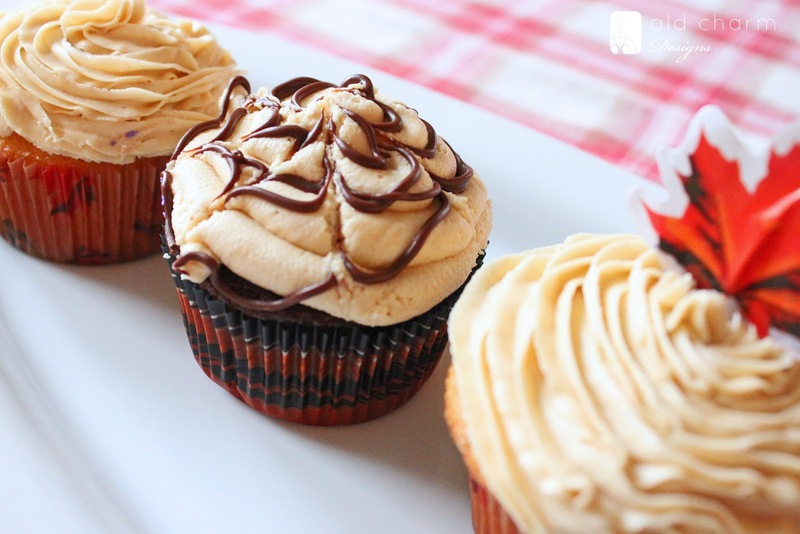 the others are vanilla with peanut butter icing. now you understand where i get my cooking and baking skills! and these are the ones i mentioned yesterday. 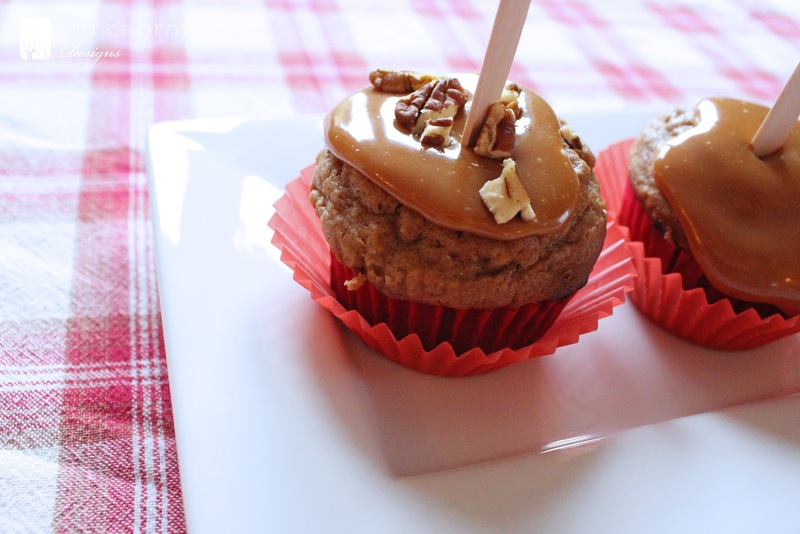 caramel apple cupcakes. don’t they look great!? so fun and different. and the recipe was pretty easy too! and those caramel bits i asked about yesterday melted up so nicely! if you’ll excuse me, i’m off to enjoy a cupcake and a glass of milk! 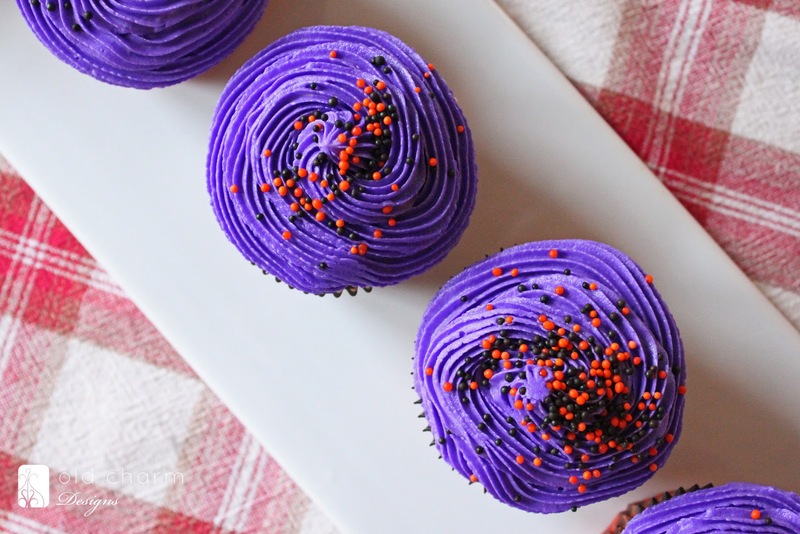 so, what’s your favorite cupcake flavor? 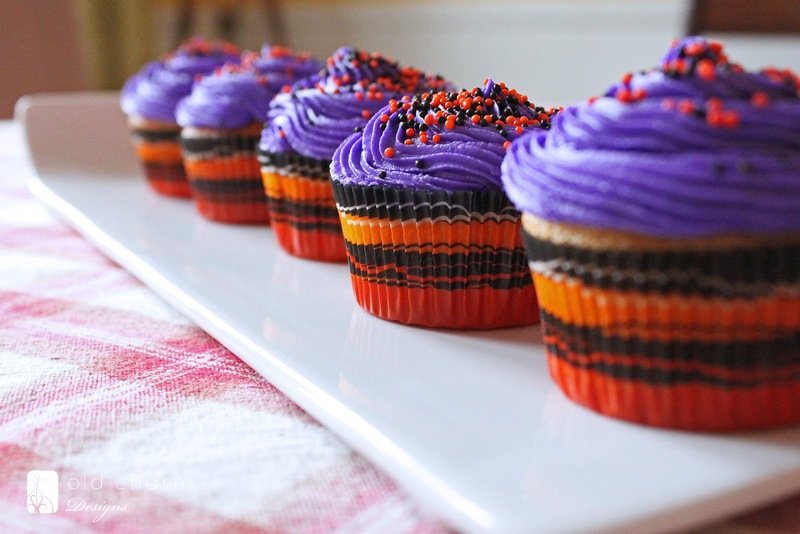 I’m going to have to go make cupcakes now or if you would just like to mail me a couple if you have any left over. I hope it went well today. Yum + Beautiful = Love! Wish I lived close enough to sample those gorgeous cupcakes in person. They all look right out of a super-upscale bakery. Will she share her recipe for peanut butter icing? They all look delish! Oh yeah. 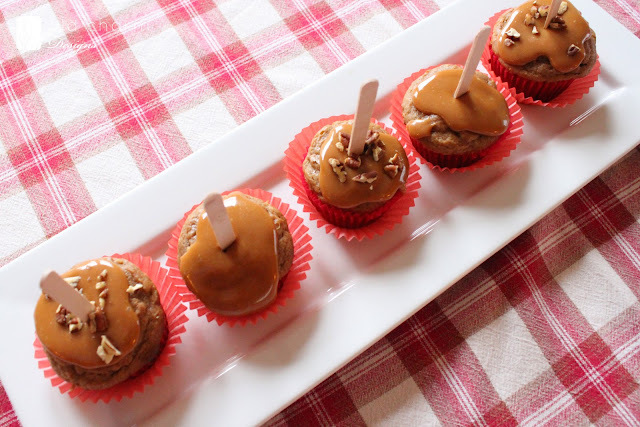 Pass those caramel apple babies right on over. And with the sticks? Tipped the cuteness scale. Your mom is totally talented too, I’m jealous of her steady icing hand. Oh man, those all look absolutely amazing!! I would love the recipe or the to know the source of the recipe , please. They look fantastic!